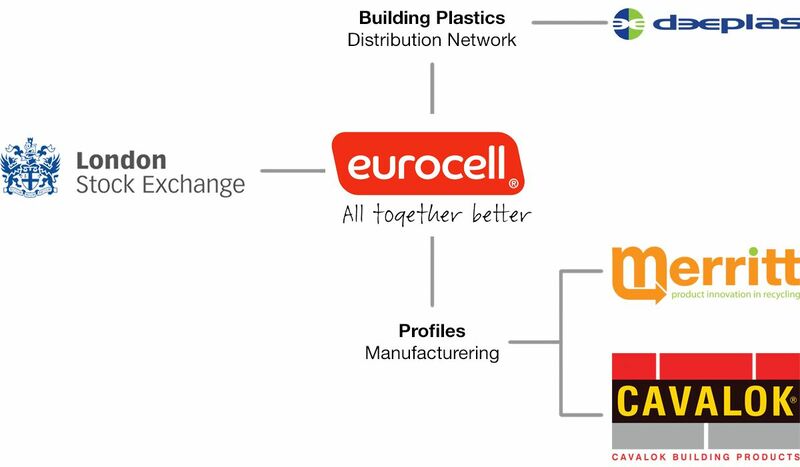 Eurocell is one of the leading manufacturers, distributors and recyclers of UPVC in Europe thanks to a combination of precision extrusion capabilities, product innovation and customer service excellence. Since 1974, we've been busy developing products that are designed to not only meet the specific needs of architects, specifiers, fabricators and installers; but also help homeowners improve their properties in terms of energy efficiency and aesthetics. The window, door, conservatory and roofline products that have made us the nation's number one have now been enhanced by an innovative range of interior UPVC products designed to save money, time and energy. From our headquarters we operate a purpose-built 80,000 sq. ft extrusion and tool-making facility, with more than 260,000 sq. ft of stockholding capacity. We operate the leading network of branches throughout Ireland and the UK, with more opening every month, supplying a complete range of PVC-U roofline, conservatory roof, window trim and door products, as well as all the fixings, sealants and tools required for every building plastics job. Branches are open to both trade and DIY customers. Most of the 4,000 product lines stocked in each depot are manufactured by Eurocell, giving us full control over our supply chain so we can deliver consistent service and quality benefits to our customers. We supply our full range of UPVC window, door and conservatory products, plus a host of ancillary systems, direct to fabricators and installers across Ireland, offering a complete package of products for both new-build and replacement markets.